When NASA wanted help for the design of its next robot it knew just where to go for innovative insights – the crowd. 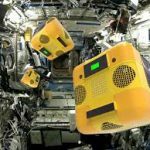 The space agency launched an open innovation competition to design an arm for a space robot named Astrobee, and the first winners have just been revealed. 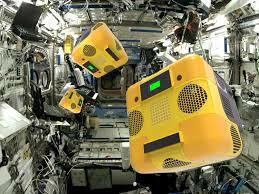 Astrobee is a free-flying square robot that is going to replace three MIT-designed robots that have been working on the International Space Station since 2006. When it is deployed, most likely in 2019 it will perform a number of functions such as air quality analysis, sensor testing and sound level monitoring and will be equipped with sensors, cameras, a touchscreen and a robotic arm. NASA held the open innovation contest for the robotic arm because it wanted to gather novel engineering ideas from around the world. “NASA has grown in the multiple ways we engage the crowd to provide solutions to challenges we face when advancing complex space systems,” Jason Crusan, NASA’s director of Advanced Exploration Systems and head of NASA’s Center of Excellence for Collaborative Innovation, said in a statement. The three winners who each received cash prizes were: Nino Wunderlin, from South Africa; Myrdal Manzano, from the Philippines; and Amit Biswas, from India. They won for challenges related to the arm’s attachment and deployment mechanisms. The open innovation competition is accepting submissions up until September 30 for other challenges related to the arm.